It’s incredible how many blogs for photographers there are now. In the past year, I’ve seen tons of blogs start up, all promising to help you grow your photography business. But which ones will actually help you grow your business most effectively? Who do I believe you should be following most closely? I’ve narrowed down my list to my top 10 list of blogs for professional photographers (besides this one, of course) that I recommend following. There’s plenty more to be sure, but these are the best of the best that teach you how to run a more profitable and successful photography business. So here’s the fourth annual list of Top Photography Business Blogs! As a photography business owner, you don’t have the time to search the internet high and low and find the best photography blogs out there. With more blogs starting out every day, I wanted to present you with a list of the best photography business blogs with the best advice, products, and the ones worth subscribing to and reading each time they post. This is the third annual list, and I’ve used a super-secret rating algorithm to give you only the best. This year, I’ve decided to only include blogs in the Top 10 list that specifically help you grow your business. If they don’t talk about the business of photography at all, they weren’t considered. 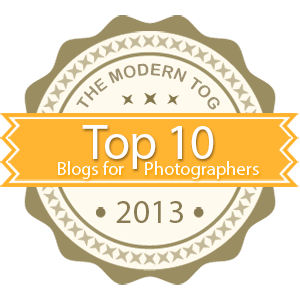 And while I think this blog (The Modern Tog) is the best, I thought it’d be biased to include myself on the list, ha! So only other blogs were considered.